"Please go find the nearest police officer when you get to heaven and tell them you are a police dog and you are reporting for duty." There is no bond quite like the one shared between a cop and his faithful K-9 partner — but perhaps never before has that love been expressed in words so clearly. Last week, Sgt. 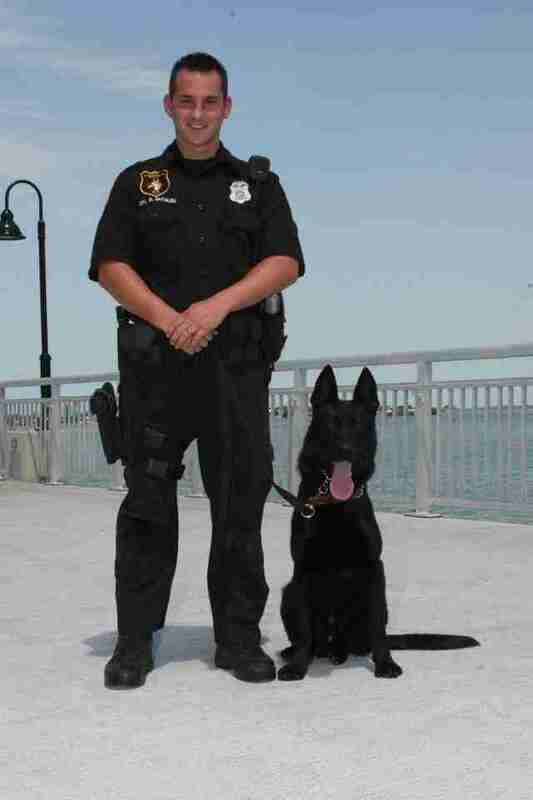 Michael Spitaleri said a final farewell to his friend and former colleague, a K-9 officer named Major. The two had served together for six years as members of Florida's Clearwater Police Department, depending on one another each day to stay safe. Major retired in 2014 due to failing health, after which he continued to live with Spitaleri as a pet. 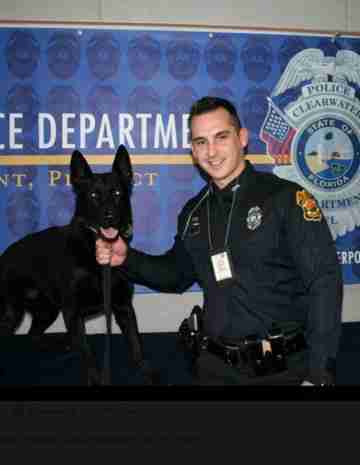 But sadly, as the dog's condition had worsened, Spitaleri made the heartbreaking decision to put Major to rest. Afterward, the grieving officer penned a touching tribute to his K-9 partner, letting the world know what a special dog he was. With permission from the Clearwater Police Department, we have reprinted Spitaleri's letter in its entirety below. To my faithful partner, Today has been the most difficult day of my career. I made the decision to end your pain and suffering, however I'm hurting far more than I anticipated. I already miss you, buddy. 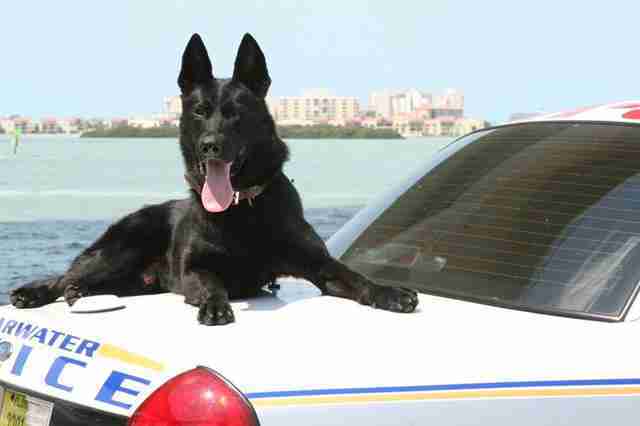 I remember picking you up from the airport right before we began K-9 school together. My first impression wasn't accurate. I thought you were small and you appeared to be a bit timid at first glance. I honestly didn't know if you had what it took to be a police dog. Nonetheless, we started K-9 school together in November of 2008. I quickly learned my initial assessment was wrong. You proved yourself to me time and time again. Your willingness to please me, your loyalty, and your fearlessness was very apparent as we progressed and graduated K-9 school in March 2009. As a team, we had immediate success on the road. During our first week together that March, you successfully tracked and located a man who threatened his wife with a knife. Our skills and ability got better day in and day out from that point. Throughout the years, we located dozens of criminals, illegal narcotics, firearms, and other items of evidentiary value. These arrests and finds wouldn't have been possible without you. You made me look like a superstar at times; truth be told, I was nothing more than the guy who held your leash. Your reputation with our coworkers was highly respected. I always laughed when we would train with the SWAT team. During those training sessions we were around some of the toughest men I have ever had the privilege of working alongside. When I would get you out of the car I would watch as these tough men would find the nearest corner of the room in an attempt to be as far away from you as possible, because they thought you were "crazy." You weren't crazy; you were my protector. You were their protector. You knew no limits and you would stop at nothing to make sure we made it home safely to our families. You took your job seriously. I'll never forget when I would try and key the radio to talk. It never failed; as soon as I got our call sign out "K4" to the dispatcher you would begin barking so loud they couldn't hear a thing I was trying to say. I would get messages and/or requests from the dispatchers to repeat my transmissions. They knew I couldn't stand it when you "talked" over me; however it was something you never grew out of. We still laugh about it to this day. When you retired in 2014 due to medical conditions, the adjustment to being a normal dog was difficult for you. You would watch me get ready and run to the door in anticipation of going to work. I know you didn't understand the reasons I retired you, however I did it because I loved you, buddy. I wanted to make sure your medical conditions didn't get worse. I wanted you to live a good quality life during your retirement. You deserved that and I stand by my decision. Just like you looked out for me every single shift, it was my turn to look out for you and protect you. Although I know you didn't enjoy retirement like humans do, I'm proud to say you adjusted as much as you could. You became my wife's dog. You became my children's dog. You made sure they were protected when Daddy went to work with his new dog, Echo. You would lay by my kids' door at night while they slept, almost as if to say "I got them, Daddy, you go to work, and they'll be fine". I felt at peace knowing you were home keeping them safe. Thank you for protecting them like you protected me for all of those years. I could go on and on about you. 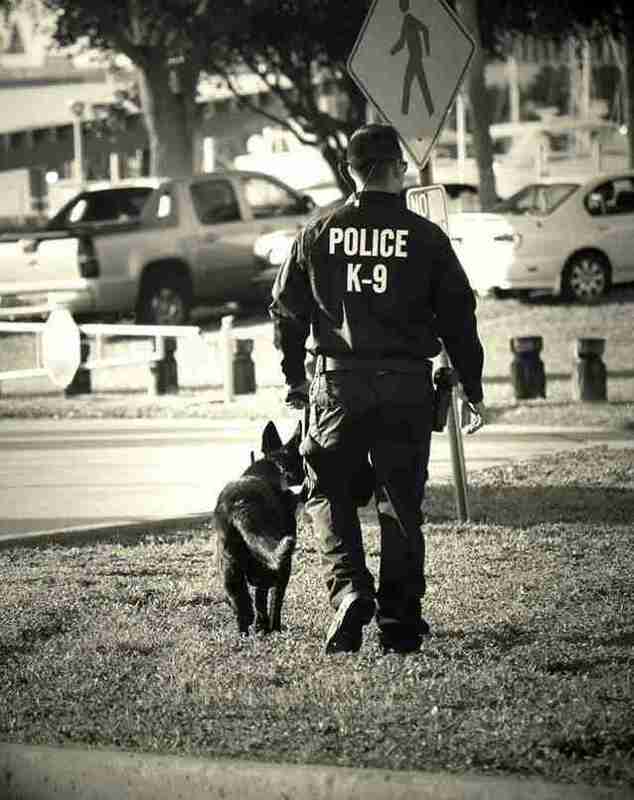 You made me the K-9 handler that I am today. You never met a challenge that you didn't rise to the occasion. You were a great partner and I am forever thankful for you. Though we never met Major in life, thanks to Spitaleri's powerful tribute, we won't soon forget him or the countless other dogs who serve.